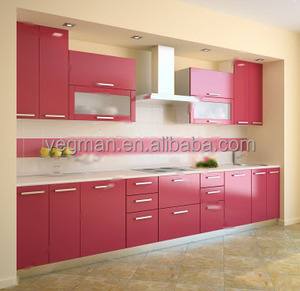 Product Item : kitchen cabinet Place of Origin : Guangdong, China (Mainland) Brand Name : ZHUV Base material : MDF, UV board, plywood, waterproof board, etc Function : Waterproof, Moisture-Proof, Fireproof, Anti-static Showroom : Board Patterns : Related accessories: Company profile ZHUV Groups are the manufacturer of environmental-friendly building materials, with high quality and competitive price to win the broad masses of customer trust and support. 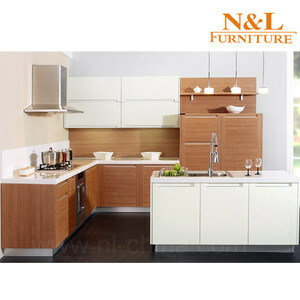 Certification : Product information: u Size: standard or customized u Style : Classic or Modern u Kitchen type: Base cabinet or wall cabinet or tall cabinet u Door material & Exposed side : 18mm MDF u Carcase material & Drawer box: 16mm MDF u Backboard material : 5mm MDF u Accessories&rsquo; brand : Chinese or Blum u Accessories options : hood, sink, handle, hinge, drawer slider, electric appliances and so on. 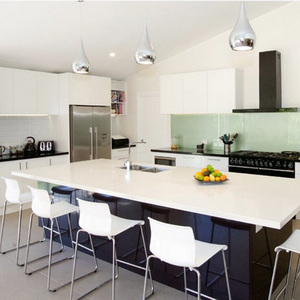 u Countertop material : Granite or Quartz or Marble or Artificial stone If you are interested in our products, welcome to send us the layout or product information . As the glasses and countertops, we use cartons for packing and reinforce them with wooden frames to avoid breakage in transit. 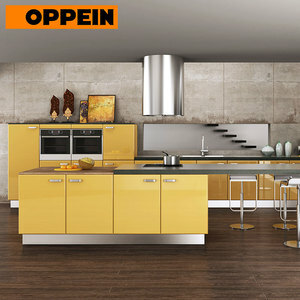 Can you produce the kitchen cabinet according to our customer's room size9 Yes, we can, welcome customized order. 2. What is your delivery time9 The time of delivery is four weeks after we receive the deposit and confirm the drawing. Other designs you may like: May you have any question,please contact us directly! 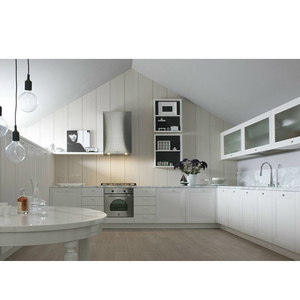 We carry a fine selection of items like wooden kitchen cabinet,wooden staircase,wood floors,parquet flooring tiles,wooden moldings,kitchen cabinet skins,etc. May you have any question,please contact us directly! Fuzhou CBM Imp. & Exp. Co., Ltd.
We also have a warehouse in LA, USA, you can contact for picking up inventory products or inquiry for installation instructions. and Hotel Projects in the USA, also we have long term relationship customers over 7 years, if more information needed, please contact. We also have a warehouse in LA, USA, you can contact for picking up inventory products or inquiry for installation instructions. 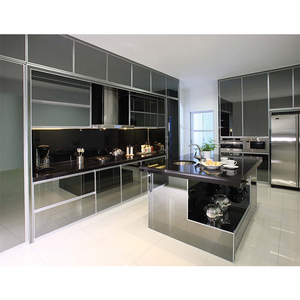 Kitchen Cabinet Skins has been the major product in the Kitchen Cabinets market over the past year, and it was very popular in United States,Wales,Canada,India and Australia; As shown in the distribution chart, market shares of these countries are folowing: [ US:65.22%, GB:12.00%, CA:4.87%, IN:2.26%, AU:2.26%, other:13.39%]. 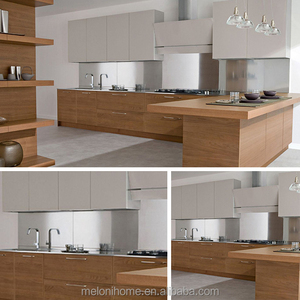 What's the trends of Kitchen Cabinet Skins product's market in 2018 (Dec 2016 to Jan 2019)?we have studied one years data on online sales, global shipping, search, sourcing and requirements of following products Kitchen Cabinet. Office Furniture,Here is the report.During the research period (Dec 2016 to Jan 2019), the major trends are as following.